Hermès Birkin 40 in Togo Terre leather. 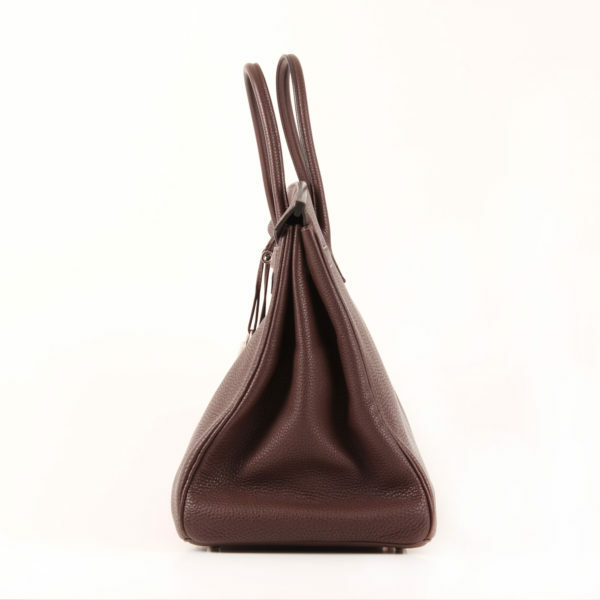 An outstanding piece which comes with various accessories like dustbag, box and bag raincoat. 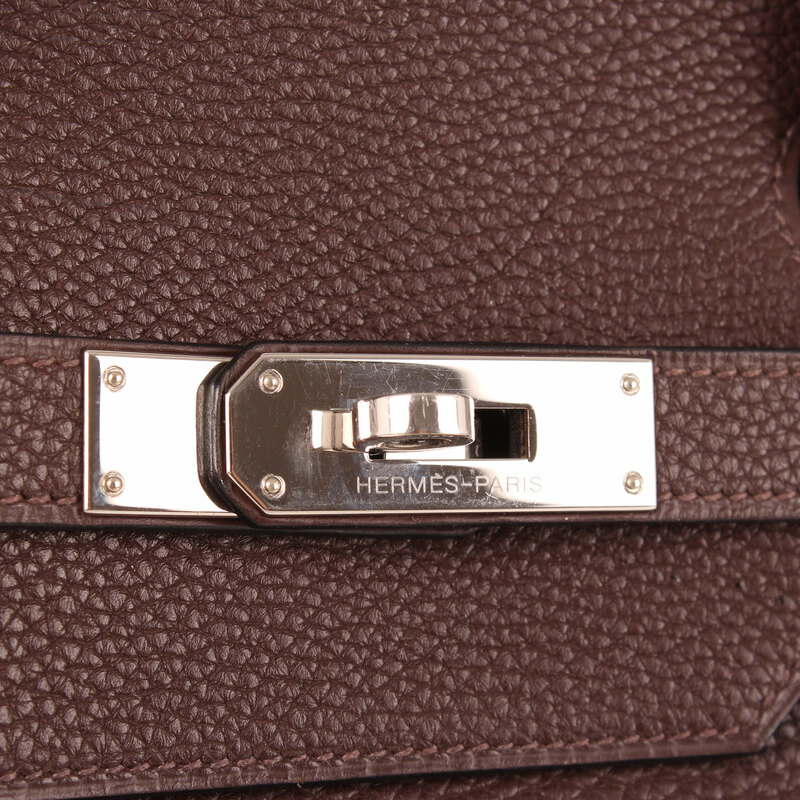 Big size model from the most representative handbag in Hermès, the Birkin Bag. 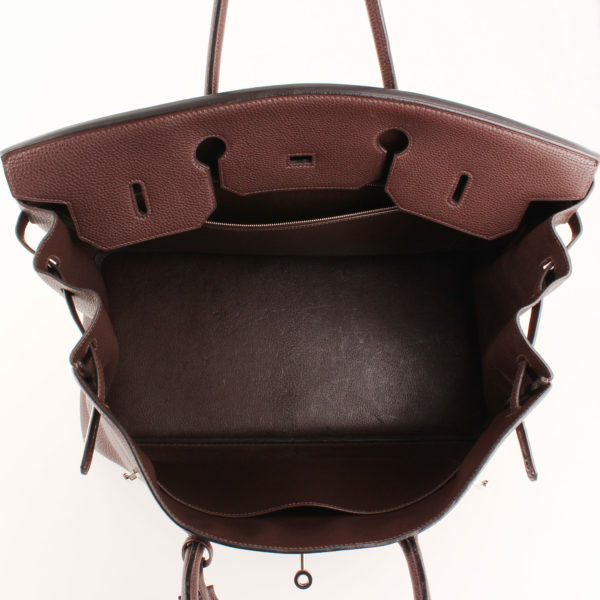 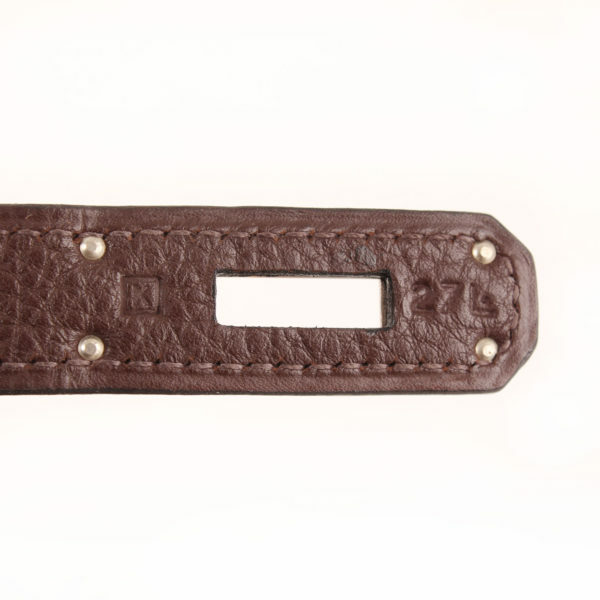 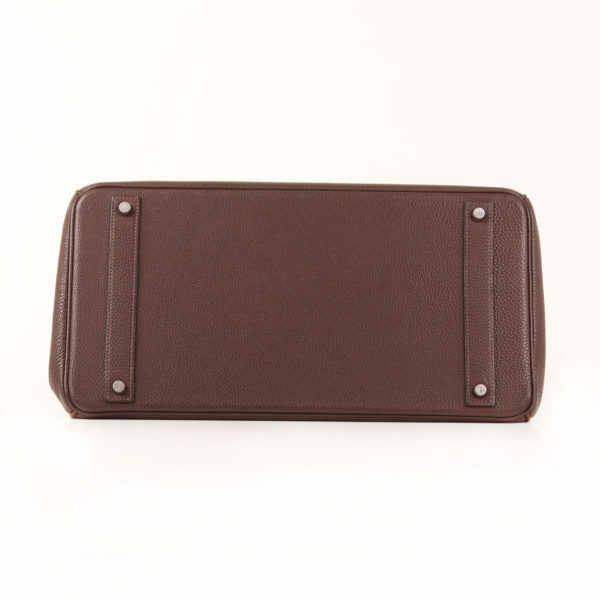 This item is made of Togo leather in a beautiful dark brown “Terre”. The bag presents double handle, the double tab clasp along with the three parts flap, both characteristic from this model; and palladium hardware. 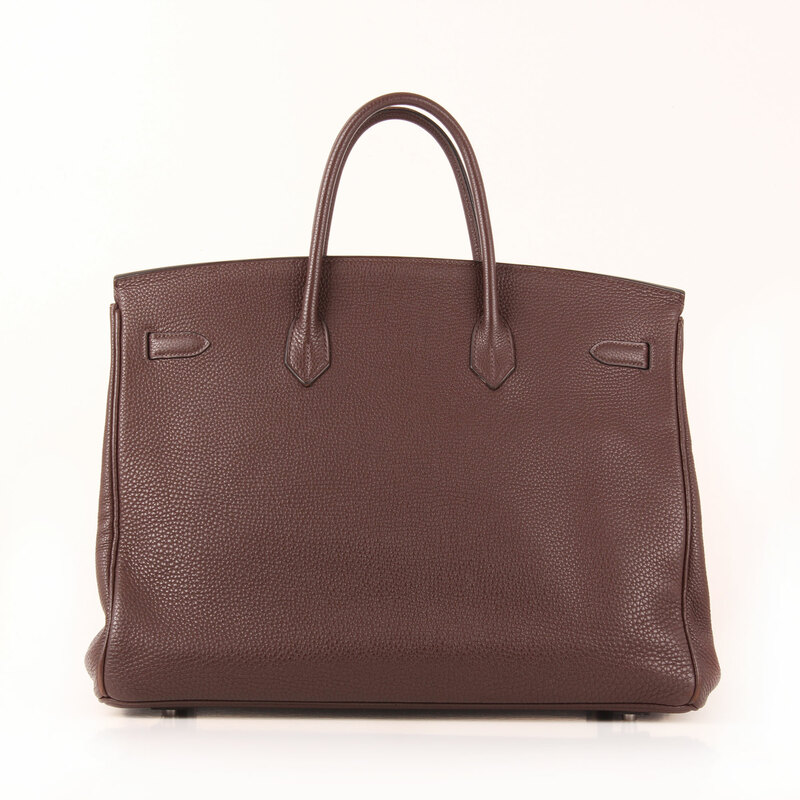 It comes with many accessories such as dustbag, original box, Hermès lace charm and even a cute raincoat Birkin size for your bag! 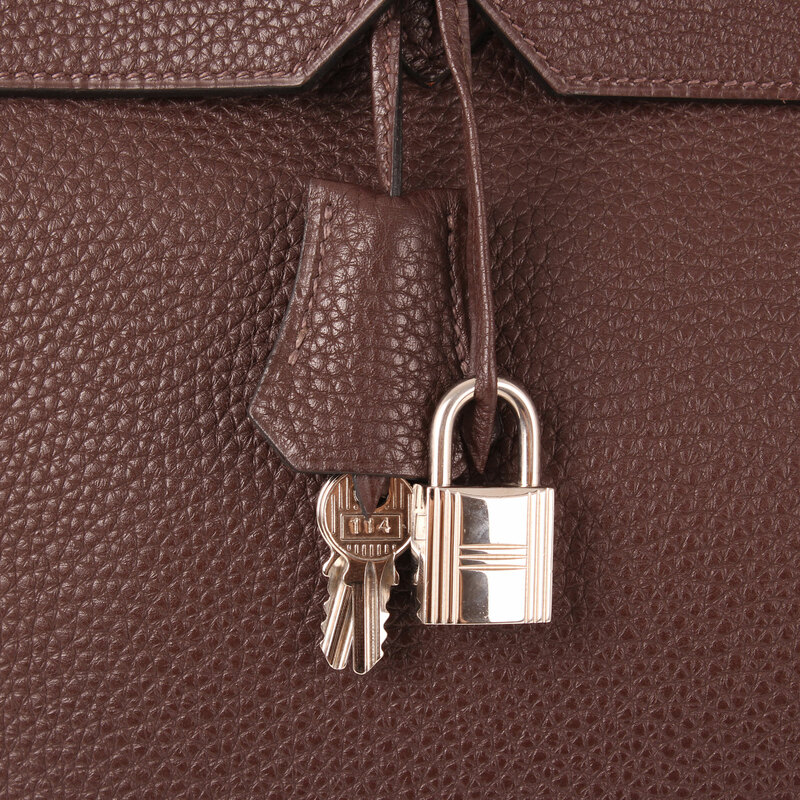 It also includes tirette, clochette, lock and keys. 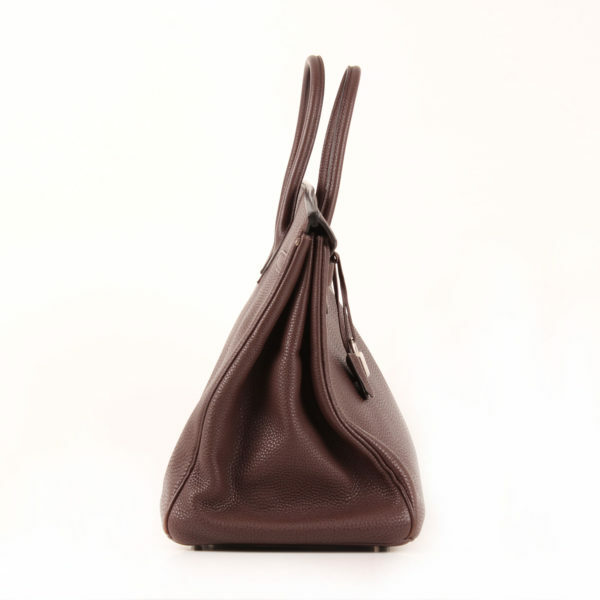 The base in well reinforced and lining presents two pockets: an open one and a zippered close. 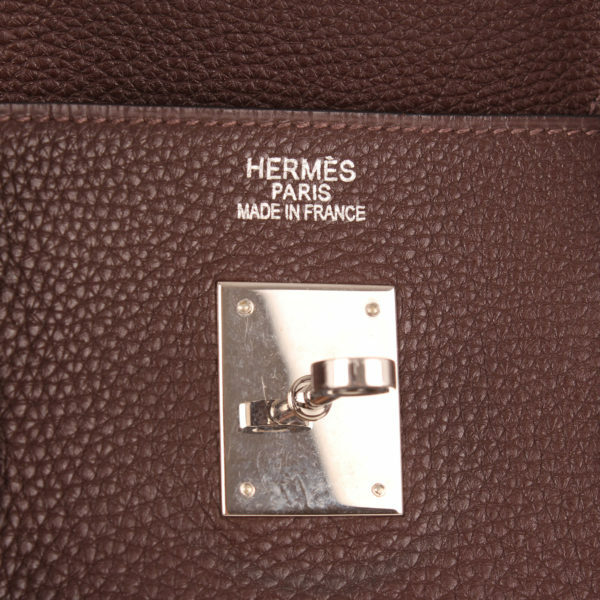 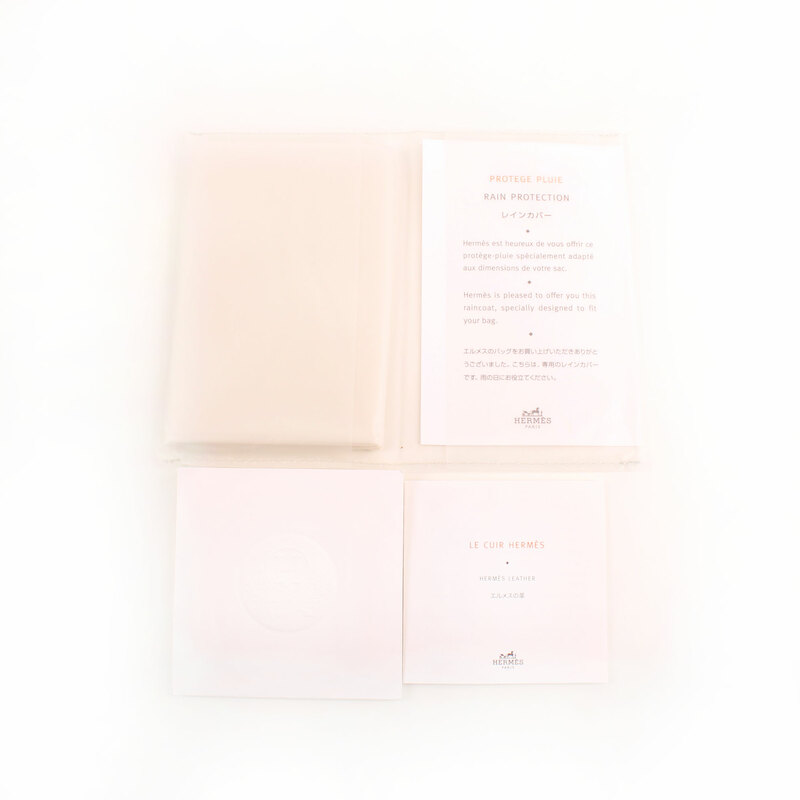 Includes: Tirette, clochette, lock, keys, dustbag, box, lace charm, raincoat protector and Hermès brochure. Details: No visible signs of wear, just very few barely noticeable scratches on clasp.